It has been confirmed that Persona Q: Shadow of the Labyrinth will launch in Europe on 28th November, and it will be bringing a special "Wild Cards" premium edition package with it. 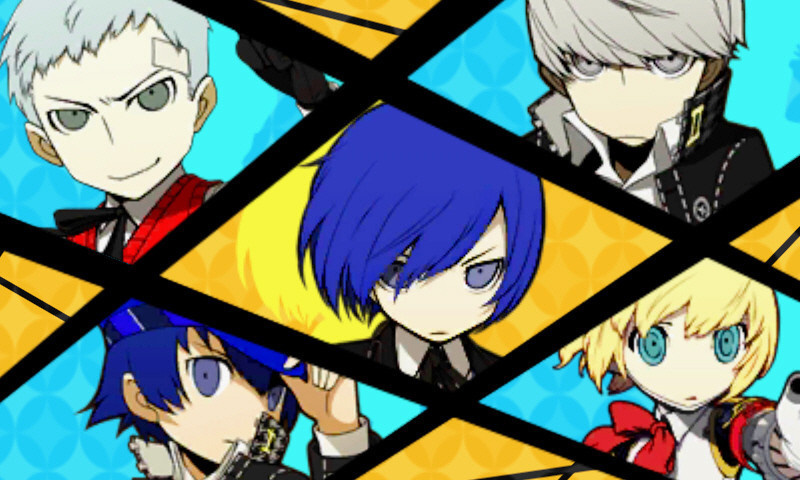 The first Persona game to hit a Nintendo system, Persona Q boasts an entirely new adventure featuring popular characters from Persona 3 and Persona 4. The North American release takes place on November 25th. Don't know how much the EU version costs, but the NA one is $80. That's asking a lot of money. The Bravely Default premium edition came with everything up there minus the 3DS case and sold for $50. I have a pretty rough time believing that the case is worth $30. I would pay $60 for it, but $80 is a definite no. Atlus should know better than to rip off its western fanbase. Nice. I'll consider this if they bring it to Australia. @CaviarMeths It will hopefully be £50-60 ($85-100) if lucky I guess this is something considering the SMTIV special edition isn't coming out in EU (neither is a physical release). @CaviarMeths @Jazzer94 Well this is being published in Europe by NIS America and the Premium Edition was to be made available on their new EU Store that launched yesterday to almost universally negative fanfare. With prices approx 40% higher than the US store (which now blocks deliveries to Europe) before adding the shipping charge (£5 for UK, £15 for EU), this new venture is set to go down faster than a capsule during re-entry. 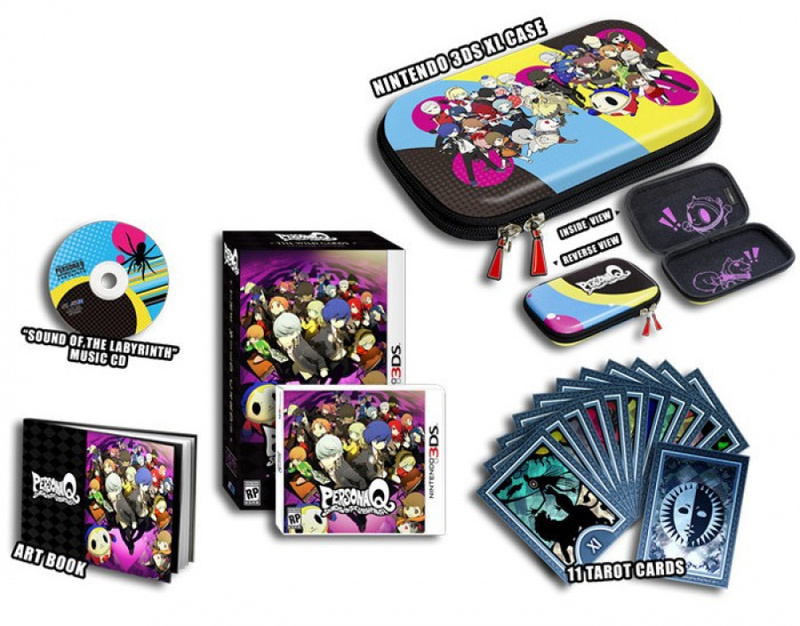 Also the Persona Q Premium was rumoured to be £70, so yeah you do the maths. I'll stick to my US version from Video Game Plus. Gotta bust out that US 3DS some day. @Jollykarp I sure hope this means an Ultimax release will also come close to the US release. Tarot cards!? Of PERSONA??? HELL YEAH!!! @FX102A I really don't want to use my import Zelda 3DS XL but it looks like I'm going to have to at this point that store is mental all they did was flip the the currency sign for pretty much everything. So this comes out in Europe the same day as Pokémon ORAS? my poor wallet.. I hope that by 'Europe', you don't mean 'only UK'? Because I need this. Uh oh...it comes with tarot cards...get ready for Nintendo to get attacked for promoting "the occult" from the far right religious radicals here in America. Pretty sure this will be a Game exclusive and thus overpriced. I think i'll stick to the regular copy. So the Brits don't have to wait 6 to 12 months anymore for Atlus titles. Thanks SEGA! I was interested until I realized it only has eleven tarot cards. Eleven is only half of the Major Arcana cards (22), let alone the rest of the Minor Arcana cards (56) which makes up a full deck of 78 cards! You can't do much of anything with just eleven cards. @Action51 Oh please, this isn't the days of Pokémon's release anymore. This is such a niche title I'm sure nobody in the mainstream media will even notice it. @CaviarMeths Just pointing this out, the case is selling individually for $40 on PlayAsia, so I'd say it's a pretty even tradeoff. I pre ordered the day E3 started (US version), $80 is A-Okay with me since it's something I've waited a long time for! Pre-ordered the NA version. Persona and The Legend of Zelda are just about the only two franchises that'll get me to part with $80 in one go. This and Curtain Call ask for a lot. I will be getting the normal edition of both. Well, I was gonna ask if North America would have a limited edition version, but then I realized that the box in the picture had 'RP', as in "ratings pending". So I'm guessing so. This looks amazing! Think I will grap this on release. The "collectors edition" is it? @Squid The other 11 cards are bundled in the CE of Persona 4 Ultimax. Which has not yet been confirmed for a EU release and will probably be regionlocked like its predecessor. Do the math. I am more surprised with the release date. I will defo pick this up day one. I'm beary pleased about this news. The Only Issue is that I think the P4 Hero sounds like the Black Ranger and P3 Hero sounds like P4's Yosuke, who was seen. I really need to fish out my PSP and finish P3P.